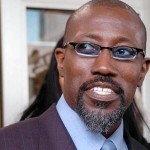 Wesley Snipes was at the center of one of the most publicized tax trials of the last twenty years. Snipes got his start on the small screen with appearances on Miami Vice and in Michael Jackson’s “Bad” music video. His star rose quickly after he appeared as Willie Mays Hayes in the baseball spoof, Major League. He was probably best known for playing the comic book action hero Blade. Snipes was indicted in 2006 for tax fraud and failure to file returns. His tax problems traced back to the advice of his accountants/tax advisors, Eddie Ray Kahn and Douglas Rosile, who came up with an argument that most of Snipes’ income was exempt from tax. Kahn and Rosile claimed that U.S. citizens could only be taxed on income earned from certain foreign-based activities and not on money made in the U.S. They relied upon a facetious argument which cited IRC § 861 to exclude income earned in the United States by U.S. citizens. This well worn tax protester argument wasn’t new to the courts having been struck down by the Tax Court as early as 1993. See, Solomon v. Commissioner, TC Memo. 1993-509. Ignoring IRC § 61, and most of the rest of the Internal Revenue Code, Snipes’ advisors argued that only income derived from “taxable activities” is taxable income. They looked to Treas. Reg. § 1.861-8T(d)(2)(iii) to define taxable activities and maintained that, as a United States citizen, Snipes and other clients were not subject to tax on wages derived from sources within the United States. Snipes and his advisors faced a difficult battle given the large volume of Court cases rejecting the IRC § 861 argument and the identification of the argument as a legally frivolous tax return position under IRC § 6702(a). Snipes pursued his argument in a big way. Snipes filed tax returns though 1999, when presumably he was approached by Kahn and Rosile. He filed amended tax returns seeking $12 million in refunds on taxes he paid in 1996 and 1997. Claiming he had no wages, Snipes stopped filing altogether from 1999 through 2004 – tallying over $15 million in back taxes. The Department of Justice already had a line on Snipes advisors, having issued a restraining order against Rosile in 2002 for promoting this scheme. After gathering evidence on Snipes, Rosile, and Kahn, the Department of Justice indicted Snipes in 2006. He pleaded not guilty to all counts. The case went to trial in 2008 with Snipes facing over 16 years in prison. Confident in their case, the defense team did not call any witnesses and rested after less than an hour. Snipes was found not guilty of felony tax fraud, but was convicted of three misdemeanor counts of failing to file tax returns. In a gesture of good will, Snipes wrote three checks amounting to $5 million to the U.S. Treasury prior to his sentencing. The payments were accepted, but Snipes was still sentenced to three years in prison – the maximum sentence requested by federal prosecutors. He began serving his sentence in 2010 after his appeal requesting a new trial was denied. Kahn and Rosile were not as fortunate. They were sentenced to 10 and 4.5 years, respectively. 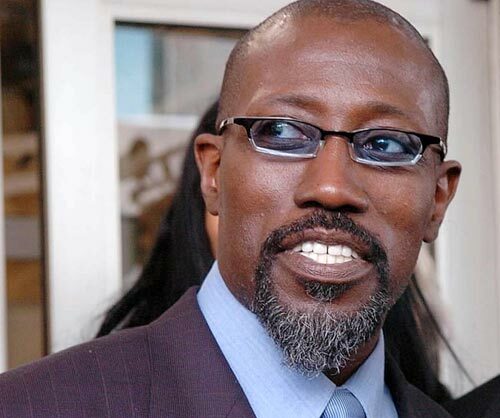 Snipes was released from prison in April 2013 to serve the remainder of his three year sentence under house arrest. It looks like he landed on his feet, as he’ll have a role in the movie Expendables 3 slated for release in 2014. Hopefully, he’ll look to § 61 to report his income moving forward. This entry was posted in Federal and tagged Blade, Famous Fridays, Major League, Miami Vice, Michael Jackson, Tax Court, Tax Evasion, Tax Fraud, Wesley Snipes by admin. Bookmark the permalink.